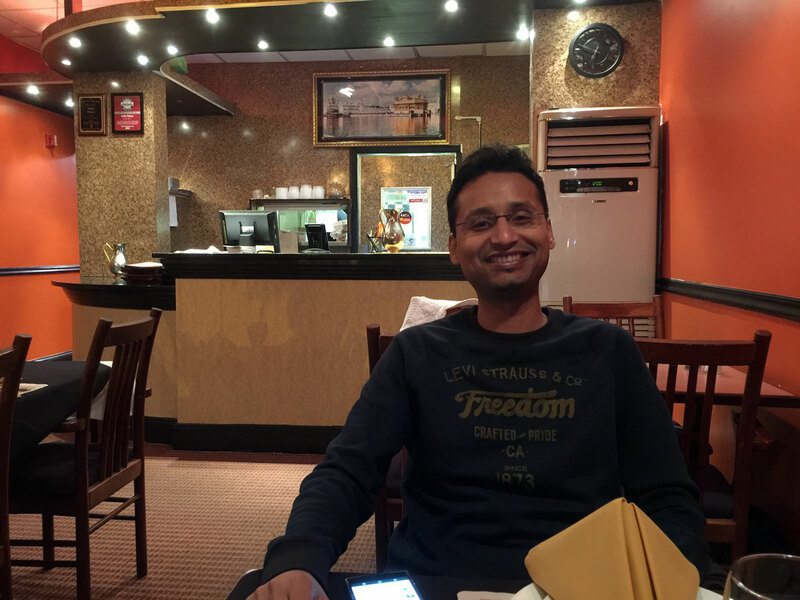 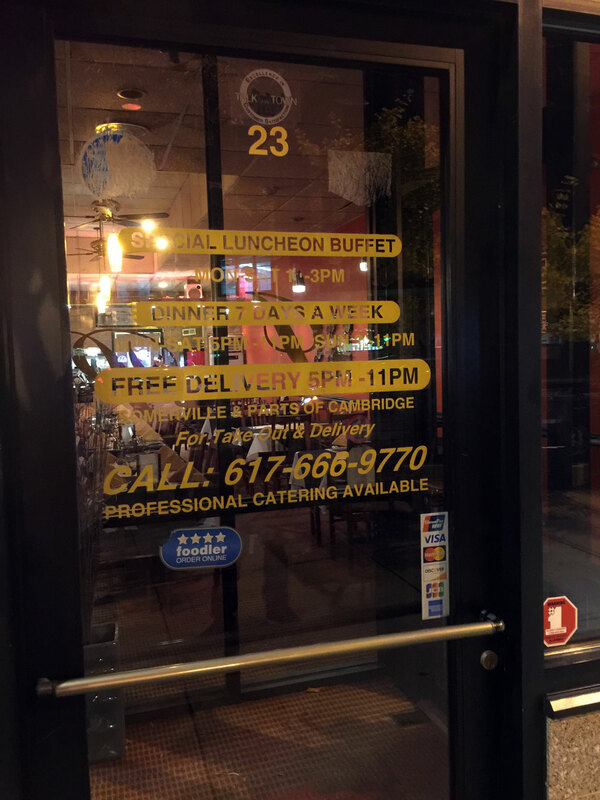 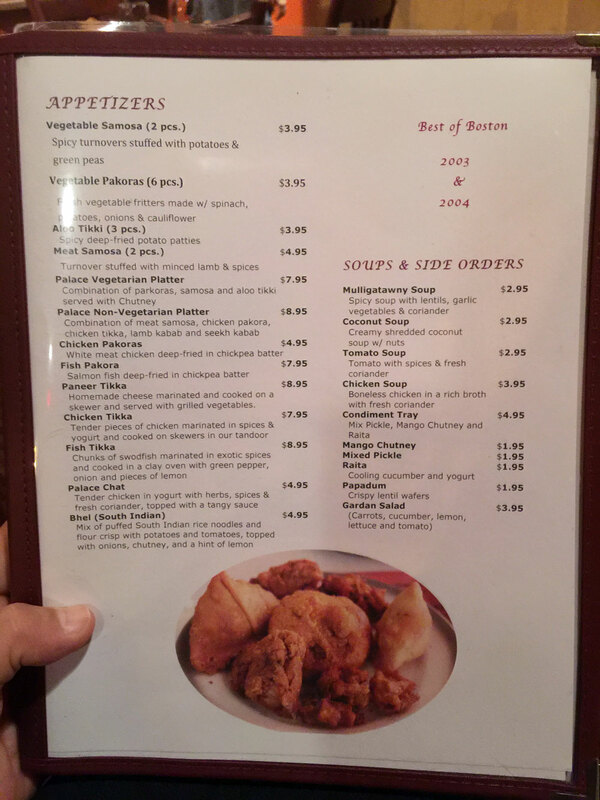 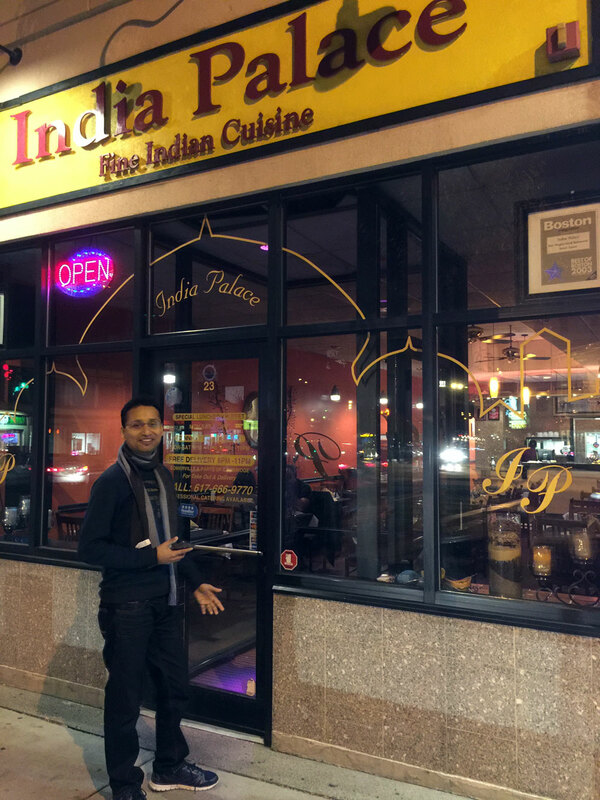 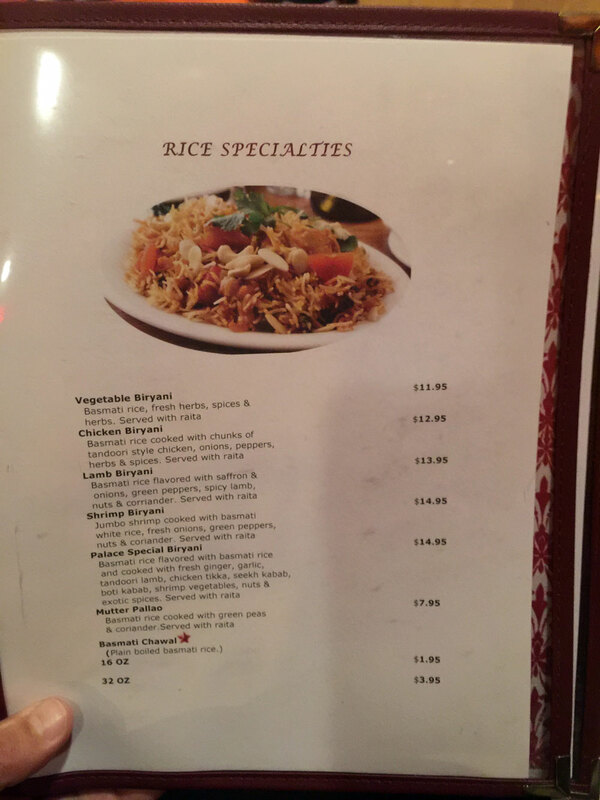 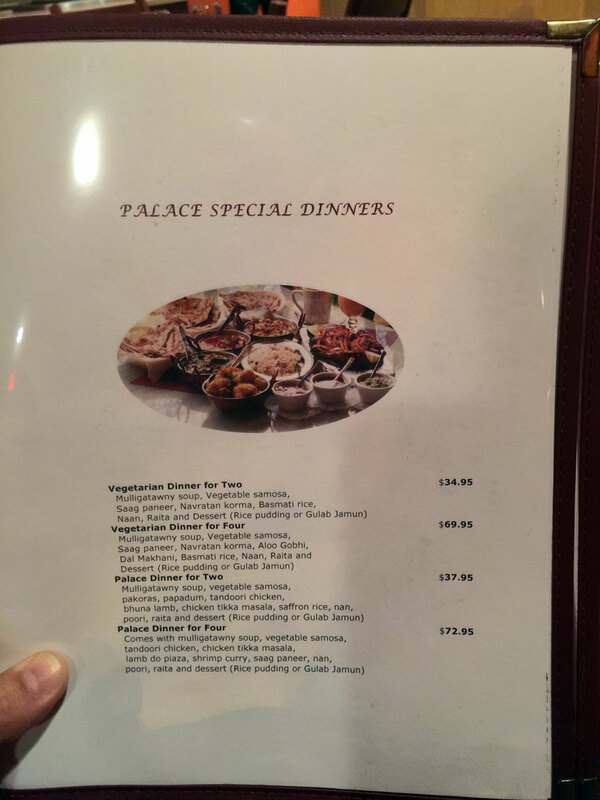 You can find India Palace at 23 Union Sq, Somerville, MA 02143 - technically this is Somerville but the locals know is as Union Square. 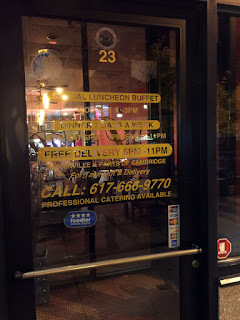 There's very limited parking from what I could tell - there might be some additional in the back alleys. 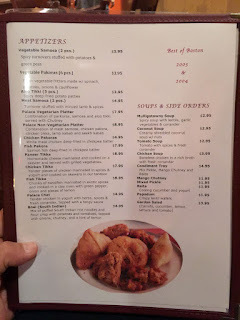 Union Square is made up of several shops that lie on either side of a median with some additional shops that divide off in a large "V" shape as roads converge to form the apex. 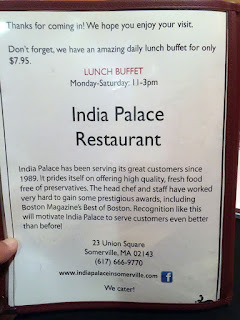 This was our first day in Boston for business and we walked from the nearby Holiday Inn to Union Square - it was a bit less than a mile walk and what appeared to be safe streets - it was a bit trafficy so if you're not comfortable with cars zooming feet away an Uber call might be useful. There's also a hotel shuttle but it less than dependable (as I'll explain later). 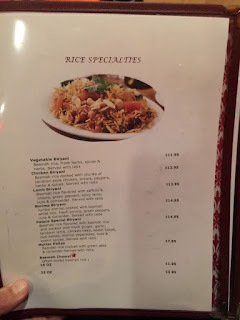 We walked up-and-down Union Square and got the lay-of-the-land, passing some interesting shops (including both an independent record store and a comic book shop) and finally settled on India Palace. 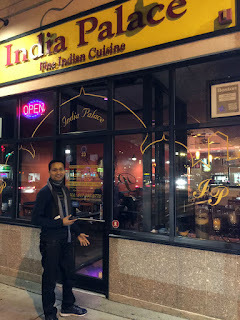 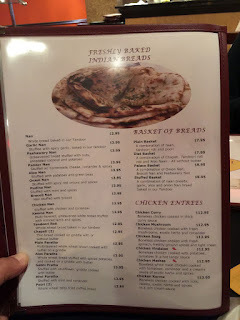 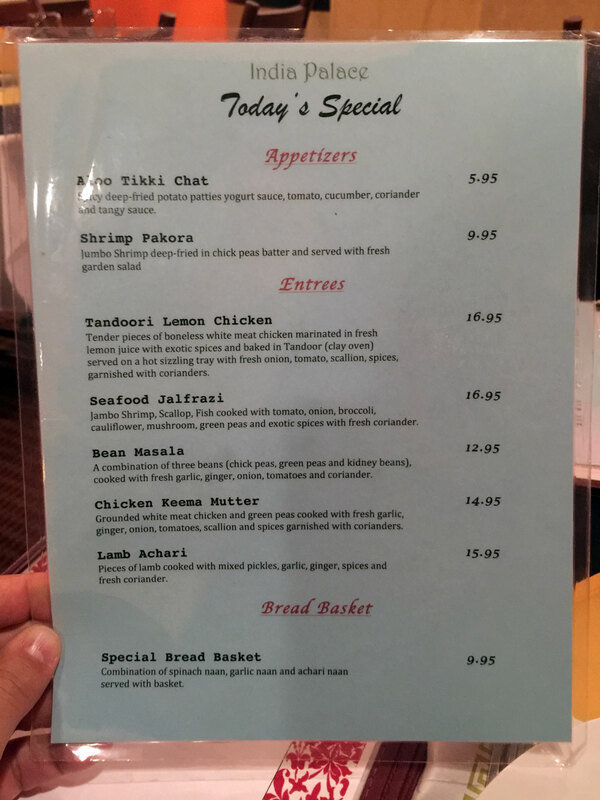 It's been something of a tradition for Sid (who's Indian) and I to try to the local Indian Cuisine wherever we end up, so this became our selection for Boston. 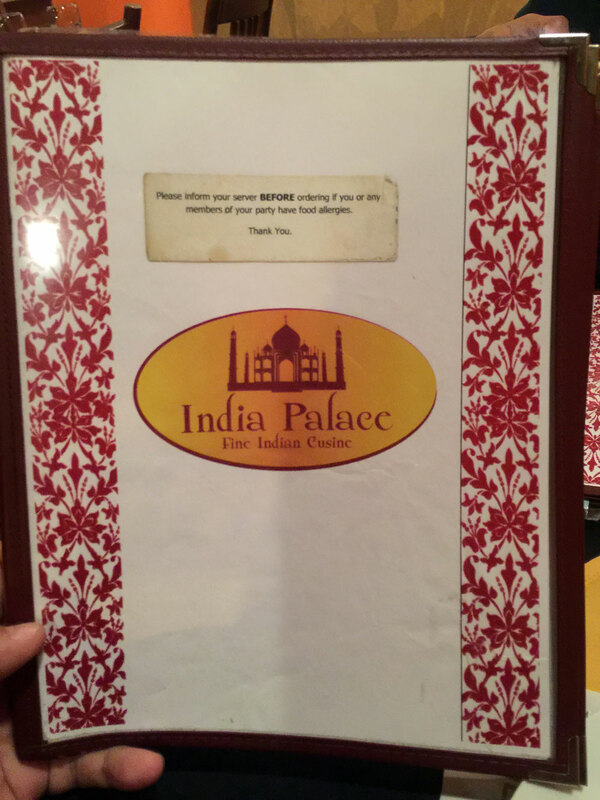 The exterior of India Palace is a bit nondescript with a glass front facade in the middle of a row of buildings. 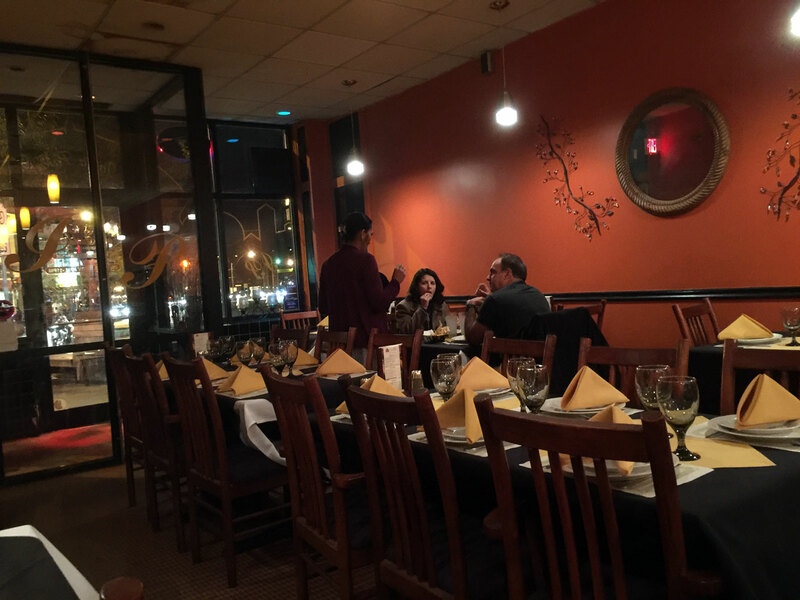 The interior is a bit plain, but welcoming and very functional. 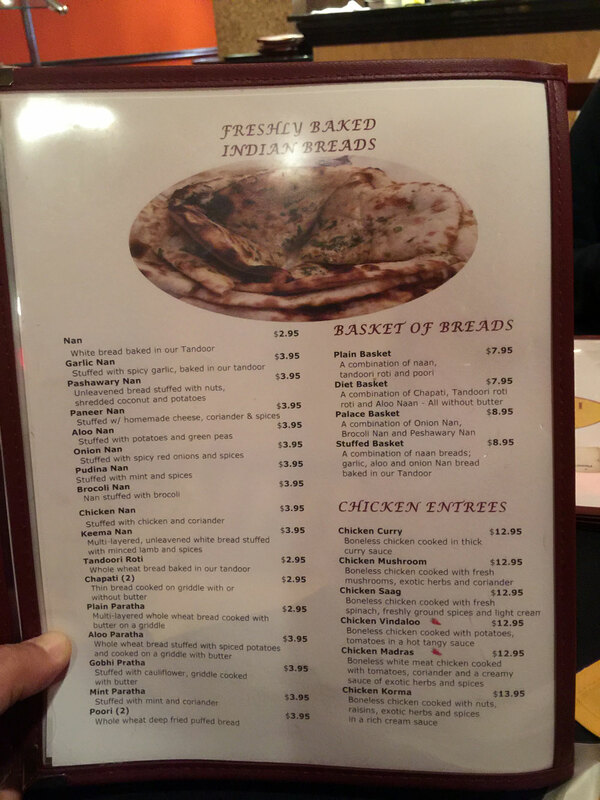 There's a counter at the back for what I presume take out orders. 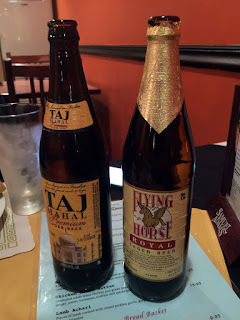 We entered and found a couple of occupied tables and very kind owners who asked for our drink order - I selected a Flying Horse Royal and Sid ordered the Taj Mahal - these were the large liter bottles so popular as exports from India and United Brewing - just don't try to find these while visiting India as they seem to be export only. 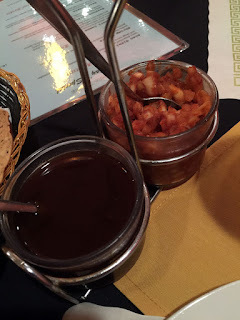 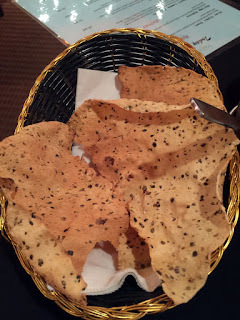 We were given some Masala, a bit of onion chutneys and a basket of very crisp peppery papadums. 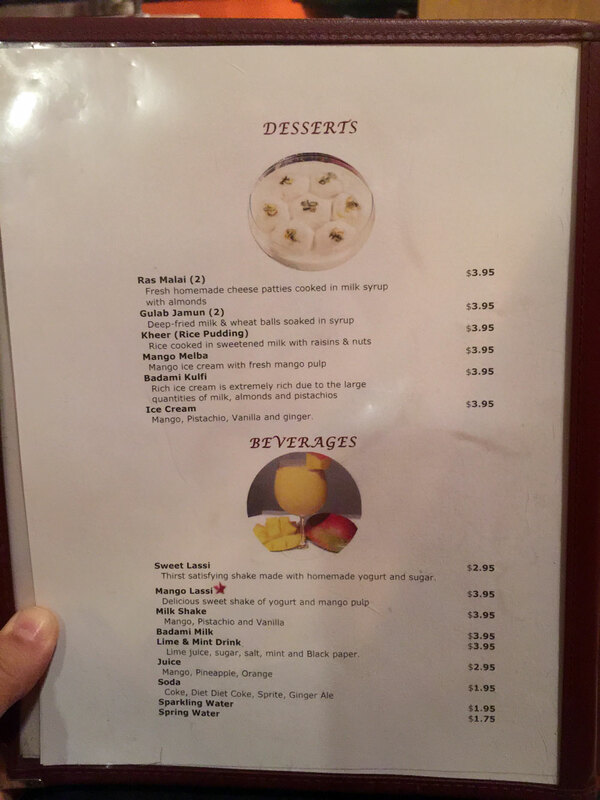 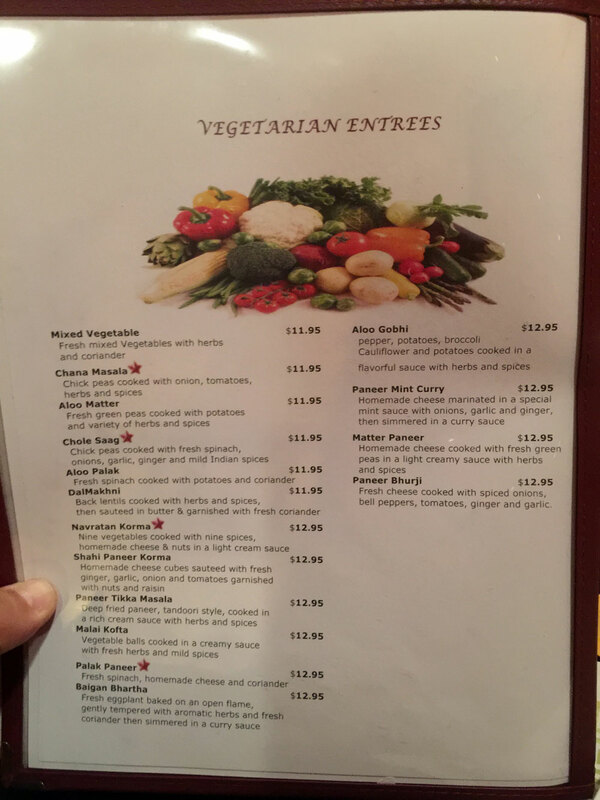 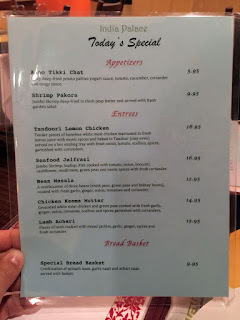 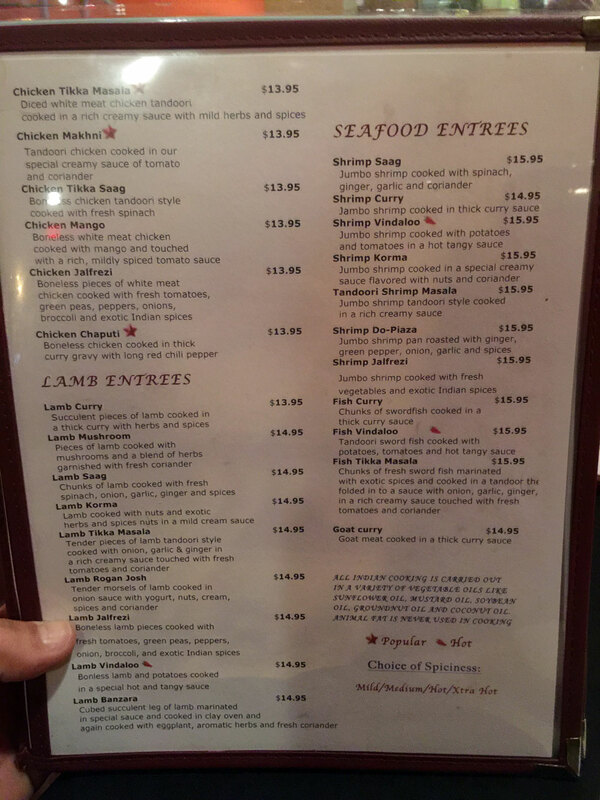 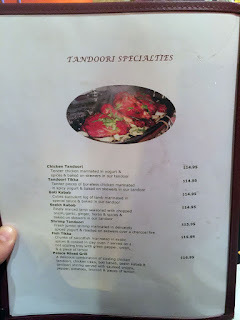 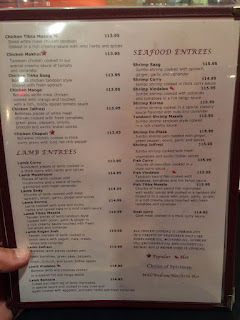 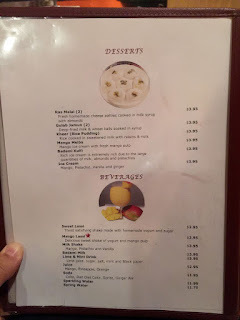 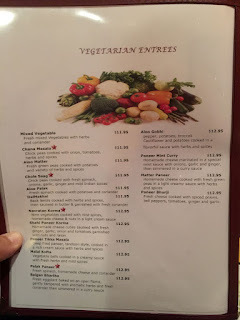 The menu was fairly comprehensive with many options - lots to choose from whether you are vegetarian or non. 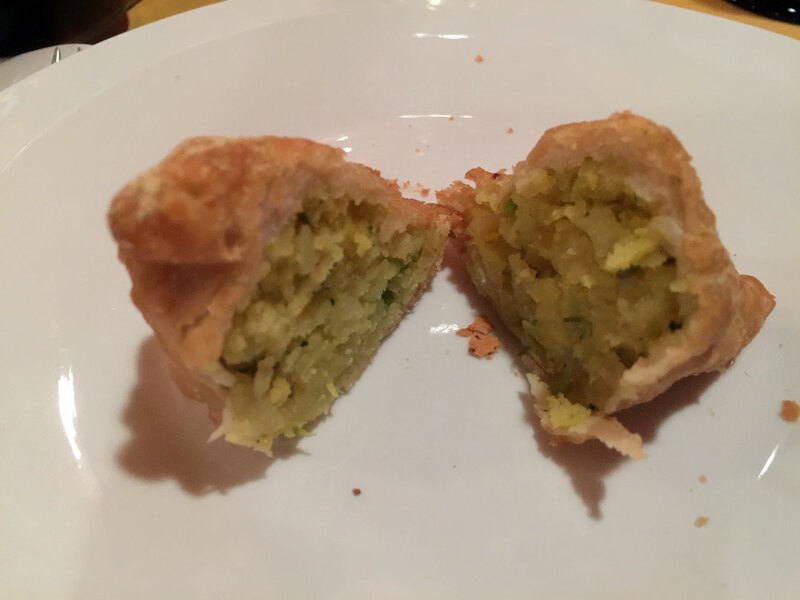 Veggie Samosas - we both thought these were mediocre and could have used a bit more spice (not heat, but rather intensity). 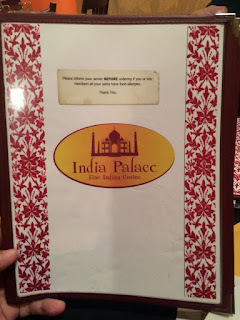 Chicken Vindaloo - this is one of my favorite dishes and I was not disappointed in what was provided at India Palace although it was different from what I've found previously. This dish is usually quite hot (and I indicated I wanted it "India Hot") and this was hot, but not as hot as I've had. 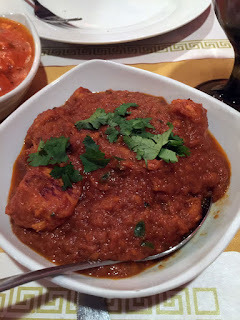 The curry was also a bit "chunky" and not quite a fluid as I've had in the past - that being said, it was still quite good with the piquant acidic flavor and heat I love. 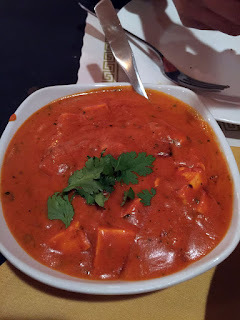 Tikka Masala Paneer - this was Sid's choice, a rich, creamy tomato curry with firm cheese paneer and it ended up being both our favorites. This was really exceptional, one of the best examples of this dish I've ever had with extremely rich flavors and a delectable tomato base that was more like tomato bisque - fantastic! 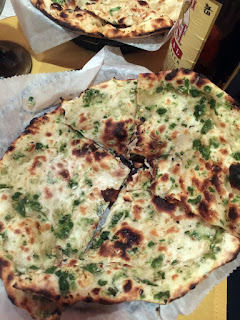 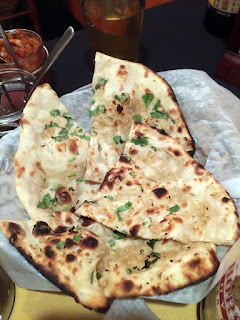 We ordered a Garlic Naan - good but I think it could have used a bit more garlic (it was more stuffed than brushed-on) and something not on the menu, a "Bullet" Naan (one baked with green chilies) - the latter was very good but the chilies were a bit disappointing - they're usually much hotter). 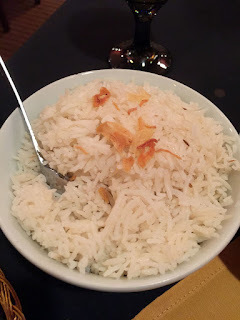 Basmati Rice - well cooked and not over-done as you sometimes find. 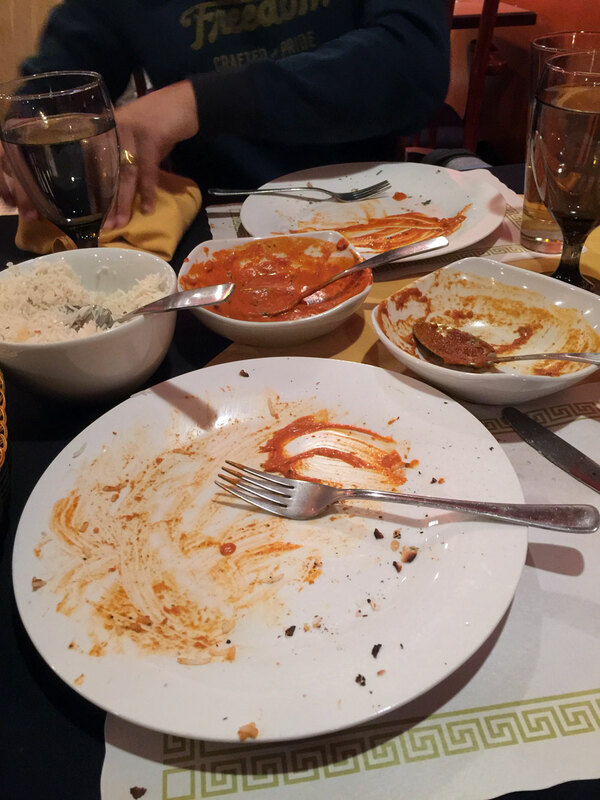 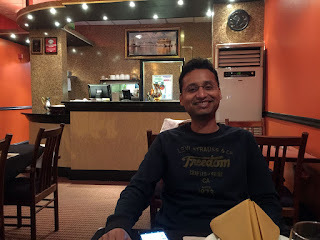 In all we were very satisfied with the food and service. 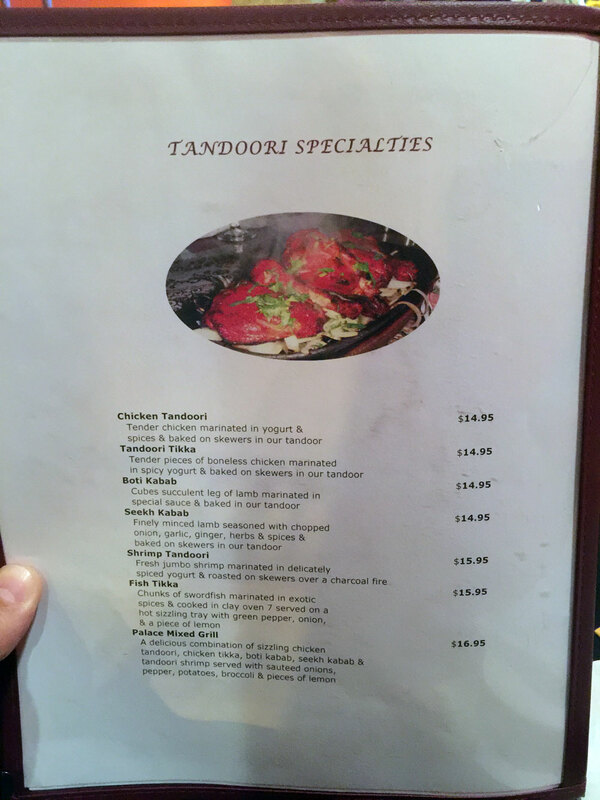 The owners were very kind and did a good job making recommendations and answering questions - I hope this small restaurant does well and we plan to return during a future visit.